Martin County is located in Florida's Treasure Coast region. Its county seat is Stuart. It also encompasses the communities of Port Salerno, Palm City, Jensen Beach, Indiantown, Jupiter Island, Hobe Sound and Hutchinson Island. We fill out forms for: Divorce, Immigration, Evictions, Corporations and other forms that you may need. We will help you from the beginning of your legal matter and through your process in an efficient, convenient and affordable manner. 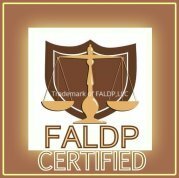 We assist you in preparing your own documents or prepare them for you in many areas of the legal field. We use Supreme Court approved forms whenever available. Draftersmultiservices is an internet and more based non lawyer legal document preparer/procurer service provider. We cater to all with the lowest prices -- guaranteed. Please visit www.Draftersmultiservice.com or draftersmultiservice@gmail.com or jsmith39@gmail.com - or call 323-451-1692 or 561-752-7345. We are not attorneys and do not provide legal advice.